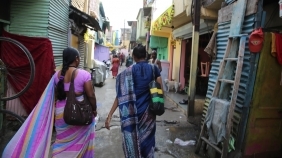 "Practical psychiatric epidemiology in the Global Mental Health era"
You may sign up for the first edition of the 3-day course "Practical psychiatric epidemiology in the Global Mental Health era", which will take place in the Swiss Epidemiology Winter School in Wengen. 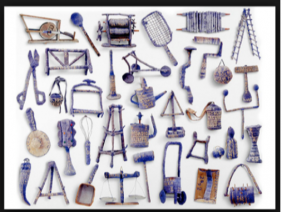 We publish today the Portuguese version of the final conclusions and recommendations of the International Seminar held on the 23rd, 24th and 25th March, 2015, in Rio de Janeiro. 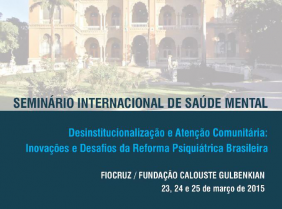 We publish today the final Portuguese version of the document that was discussed during the International Seminar on Mental Health: Inovations in Deinstitutionalization and Community Care, held on the 23rd, 24th and 25th March, 2015, in Rio de Janeiro. 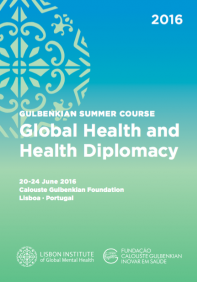 The Lisbon Institute of Global Mental Health, in collaboration with the Nova Medical School, Nova University of Lisbon, and the Swiss School of Public Health, will organise the Gulbenkian Summer Course on Global Health and Health Diplomacy in 20-24 June 2016, in Lisbon.